Back in January, we posted an article about the dangers of texting while driving. As we mentioned, not only is texting while driving dangerous, it is also currently illegal in 30 states, including Massachusetts, and many states are looking to join those that have already made it illegal. In Massachusetts, using any kind of mobile communication (including using hands-free calling) is illegal for operators under the age of 18; the first offense results in a 60 day license suspension, a $100 fine, and requires an attitudinal course. Fines and license suspensions only increase from there. For drivers over the age of 18, texting while driving is illegal, and an initial offense results in a $100 fine. Second and third offenses result in $250 and $500 fines. For a full list of all the offenses, check up on the Safe Driving Law, which was enacted on September 30, 2010. 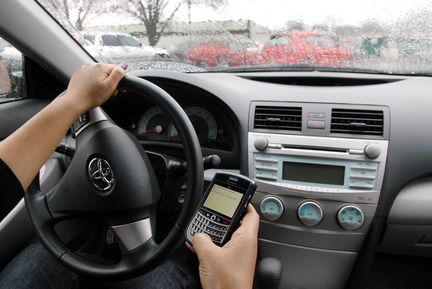 Although texting while driving in Massachusetts is considered a civil offense and not a moving violation, in some states, such as Connecticut, texting while driving is considered a moving violation and can result in increased insurance rates. While you’re traveling this summer, stay safe and be aware that many states have different laws on the legality of texting while driving, and whether or not it counts as a moving violation.